The most amazing thing happened just a few days ago. I received a proof copy of Patrick Ness' upcoming book; More Than This. (And, if you don't mind my boasting a little, a signed and numbered proof copy, no less... thank you Patrick Ness and Walker Books.) So, having 6 or 7 pressing deadlines to meet, of course I put those down and read this book immediately. WOW! More Than This is at once powerful and sensitive; a portrait of, not just that sense of teenage longing, but the longing we carry deep within us throughout our lives, no matter how we try to deny it. It speaks of yearning, loss and discovery. There is also a poignant testament to the function of memory... what memory really does for us, how it works. Add to this the unexpected introduction of a dystopian nightmare, and what Ness has given us is overwhelming, important and true. More Than This speaks to the heart, and takes it on an sublime journey. Coming in September...please, please read this book! Big, Big Congratulations to the CILIP Carnegie & Kate Greenaway Winners! Congratulations are certainly appropriate! 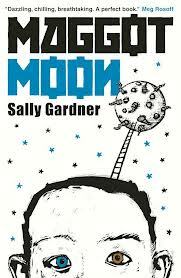 The winner of this year's CILIP Carnegie Medal is Sally Gardner for the brilliant and wholly unusual Maggot Moon! 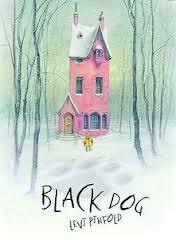 And the Kate Greenaway Medal goes to Levi Pinfold for the exceptionally wondrous picture book, Black Dog! Well, that was a surprise... 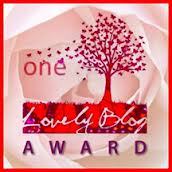 I've been given a One Lovely Blog Award by the equally lovely Arushi Raj of Novel-Worms (http://novelworms.blogspot.in). This is an award given to blogs with few followers to help promote them. There are some marvellous and beautiful blogs out there in cyber-space that deserve recognition, and I am absolutely delighted to have received it. Thank you so very much! -Name and thank the blog that has given you the nomination. -Make yourself a follower of the blog that nominated you. -Answer the 11 questions that get asked. -Give the award to 11 blogs with few followers. - What is your favorite genre in books? Well, clearly I prefer children's literature to any other. Within that, I would probably say childrens' fantasy and/or fairy tales. - What is your favorite genre in music? The genre doesn't really matter to me, as long as I enjoy it! Music has to make me feel something. - Which is the one quote that changed your life? - If you can give an advice to younger version of you, what will it be? Not to over think things, to rest more and always listen to my instincts. - What is your ultimate goal in life? To always be honest and caring; it is far better to have been caring than to be right. - Which is The fattest book you ever read? When I was rather young, I embarked on a mission to read the Encyclopedia Britannica; there were about 20 volumes, as I remember. - How many pages did it have? As I said, there were about 20 volumes... but I only got about half-way through... I lost interest after the M's, sadly. - Who inspires you the most? - Which is the worst day of your life? The day my mother died; 22nd September, 2010. - Which is the best day of your life? Each of the 8 days that I got to first hold each of my 8 grandchildren. - Which is your favorite fairy tale? Oh... that's a tough one. I think it would be Snow White, Rose Red. - Why did you decide to start a blog? - Which book do you remember most clearly from childhood? - Did you have a favourite song as a child? - If you could live anywhere in the world, where would that be? - What is your favourite journey? - Mountains, forests, desert or seaside? - When you have a day all to yourself, what do you do? - What is the one thing that bothers you more than anything else? - Give one fact about yourself that most people don't know. Many thanks to Arushi, once again. Thanks to Olivia Lolly; she took the photo. 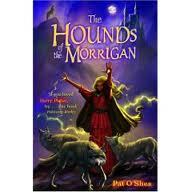 As some of you might know, during the last CBI conference, it was my privilege to give a brief presentation on that absolutely sterling children's fantasy novel, Hounds of the Morrigan by Pat O'Shea. (Look, here I am presenting!) Thanks to Geoff Windell, Pat's former partner of many years, and her son, Jim, I was given a wonderful amount of information that I wouldn't have had access to ordinarily. 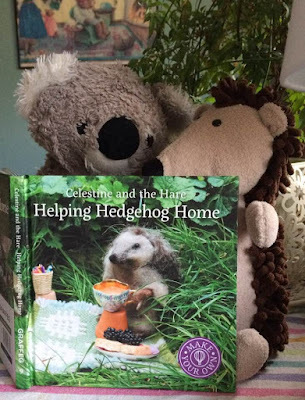 I could have spoken for much longer than the 5 minutes that all of us in the 'Edge of the Page' segment; and my enthusiasm and love of this book is such that I will be posting a series of articles on Hounds of the Morrigan and Pat O'Shea here on my blog. "The late Pat O’Shea’s hilarious, scary fantasy novel The Hounds of the Morrigan (1985) is possibly the greatest Irish children’s book ever written. But although the book is still in print, it’s hardly a childhood standard, and it pains me to see less original writers receive the acclaim O’Shea deserved." I couldn't agree more... though I will correct Anna. 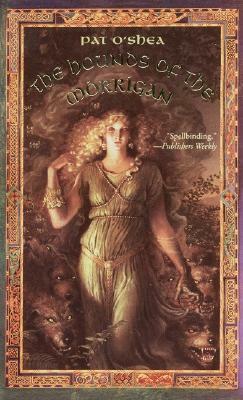 Hounds of the Morrigan is sadly out of print at this stage. While still being available on Kindle, you won't find a print copy on the shelves in your local bookshop. So, if you happen to be scavenging the shelves of a used bookshop and come across a copy...pick it up, read and cherish it. It is a real gem. 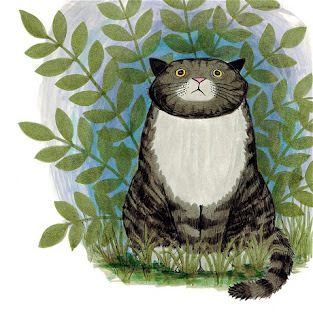 On the 14th of June, one of the most beloved and brilliantly whimsical children's author/illustrators, Judith Kerr, will celebrate her 90th birthday. 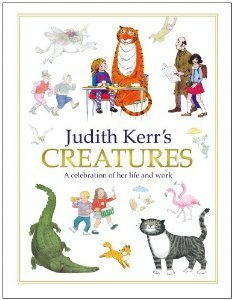 To honour this achievement, (and hanging in there until the age of 90 is quite an achievement, if you ask me) HarperCollins Childrens Books is publishing Judith Kerr's Creatures:A Celebration of the Life and Work of Judith Kerr. A sumptuously illustrated volume, it chronicles everything about the author who gave us the Mog books, The Tiger Who Came to Tea, etc and lets us in on the development of her creatures and stories. Also being released simultaneously, there will be a new edition of When Hitler Stole the Pink Rabbit, Kerr's semi-autobiographical of a young Jewish girl who is forced to leave home to escape the Nazi regime. After over forty years, Kerr has been creating wonderful books that entertain, intrigue and give us pause for thought. A very Happy Birthday, Judith Kerr... a great accomplishment all the way around. Today, the wonderful Julia Donaldson passed on the mantle of UK's Children Laureate after her two year term (in which she did wonderful work!) 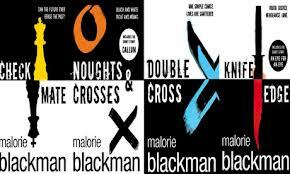 The new Children's Laureate, just announced is Malorie Blackman, author of such wonderful teen books as Noughts and Crosses, Double Cross and Boys Don't Cry. Blackman was presented with the Children's Laureate medal and a cheque for £15,000 by Krishnan Guru-Murphy (Channel 4 News anchor) at a ceremony at King's Place in central London earlier this morning. She plans to use her position to call on teachers and parents to spend at least 10 minutes a day sharing a book with their child(ren) and students. 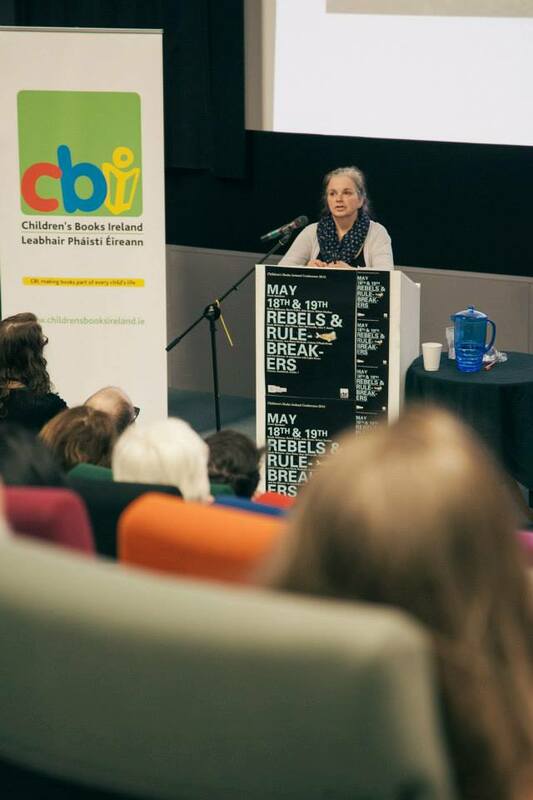 She also wants to encourage teenagers to explore a wider range of literature. 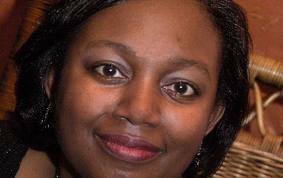 As Blackman started her career as a computer programmer and has a good grasp of the importance of technology, she wants to spend some time focussing on the role that technology plays in literature, particularly for a generation that has grown up with digital influence. "This is a wonderful appointment. Malorie will bring her trademark energy to the role and be a great Children's Laureate. We at Waterstones will be proud to support her over the next two years." Congratulations to Malorie. I'm sure she will bring her trademark passion and enthusiasm to the role.